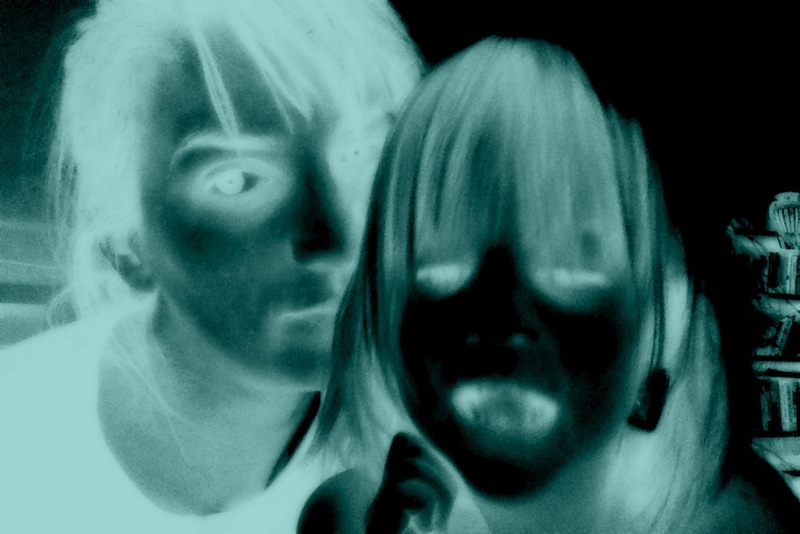 When not researching state reptiles and outsider art, Gabrielle takes many (MANY) photo booth photos with her children. Always with effects. Curious about my work? Find it here. Curious about my process? Learn more here. 65 Bleecker Street, 8th fl. Re: 50 Cities of the U.S.A. Enter your email address for the occasional update, author musing, and giveaways. I respect your privacy and would never share your email with a car salesperson or the like. Can't wait to share news with you. In the meantime, check in with me here to see what I've been reading and researching. True or False: The world's largest animal could fit three motorcycles on its jaw. Find out the answer to this and more with children's book author Gabrielle Balkan. Seek out Gabrielle to look at clues and guess which animals have the biggest, smallest, and spikiest bone...and which are the fastest, highest, and best backwards flyers. She'll also reveal secrets about the USA, like the best place to...see an albino alligator, the world's largest bottle of milk, and participate in a hot-dog eating contest. 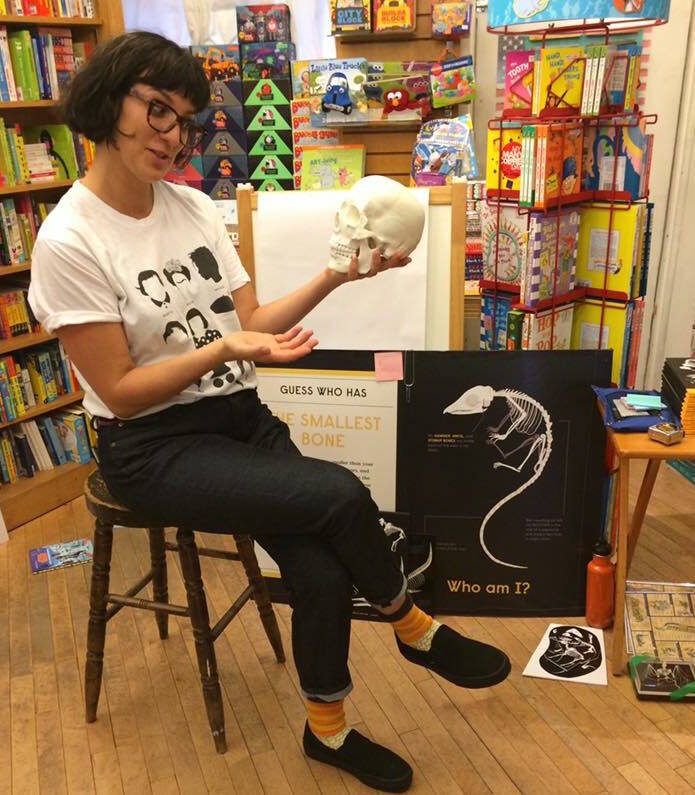 Then, you can show off your creativity and science smarts by working with Gabrielle to create an invented animal skeleton of your own. Gabrielle Balkan is best known for non-fiction books that delight readers ages 5 - 12 with curious and essential facts about the United States and animal record-breakers. Her books include the The 50 States, 50 Cities, Book of Bones, and Book of Flight. She lives, works, and rides bikes in Brooklyn with her twin 3rd graders, two cats, a writer husband. She/her. Find her online at: facebook: @gabriellebalkan, instagram: @gabriellebalkan, and www.gabriellebalkan.com. 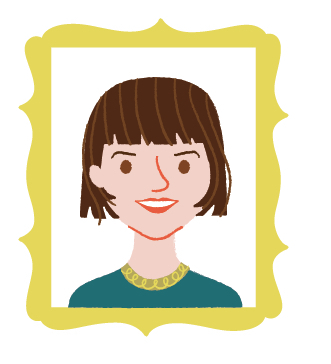 Gabrielle Balkan (she/her) is a writer and editor, mostly of children's books, living in Brooklyn, New York, mostly with her husband, daughters, and orange cat. She once wrote a poem and summers in Germantown, New York. Previously, she was studied English and education at Barnard College in New York, New York. Thesis topic? Mrs Dalloway. Prior, she was a Broad Ripple (go Rockets!) high school student in Indianapolis, Indiana. Favorite subject? Shoup-about: an independent writing course with the author of Looking for Jack Kerouac. Before, she was in junior high at Inter Community School in Zurich, Switzerland. Favorite reading? Everything by Diana Wynne Jones, especially Dogsbody. And first, she was born to an English teacher and Chemist, right around Christmastime, on an Army base in Augusta, Georgia. Delivery cost? $12.53. Gabrielle has sold posters to college students from Rochester, NY to Rome, GA; taught 9th grade summer school students to write obituaries for Romeo and Juliet characters; kept track of photo shoot budgets for WWD and W Magazine; data entried; sat diners; pulled weeds; read law texts to the blind; was a book buyer for the Scholastic Reading Clubs, a commissioning editor for Scholastic Paperbacks, and the Director of Communications for City and Country School. She should not be hired to copy edit. She's quite bad at that—she gets too caught up in the plot! The 50 States, The 50 States Activity Book, 50 States Fun Facts, and 50 Cities were written in coffee shops, bookstores, and libraries in Brooklyn, Germantown, Mishawaka, South Bend, Tubac, and Tucson; and illustrated by Sol Linero in Buenos Aires. Book of Bones and Book of Flight was written with the help of animal experts in Alaska, California, and Virginia, and illustrated by Sam Brewster in London. Gabrielle is also the author of The Dog Rules and The Dog Rules: A New Pig in Town, written as the somewhat temperamental parrot, Coco LaRue; both illustrated by Kyla May, both written in Brooklyn. Author Portrait - by fan!